First event of 2019: January 23rd at Pinocchio Restaurant Luas Kiosk Ranelagh, Dublin 6. Save the date! Come for a real Italian Aperitivo Go tell your friends about it! There will be wine, beer, Spritz, free finger food and canape. The DJ Fabrizio Spacagna will be playing from 19:00. 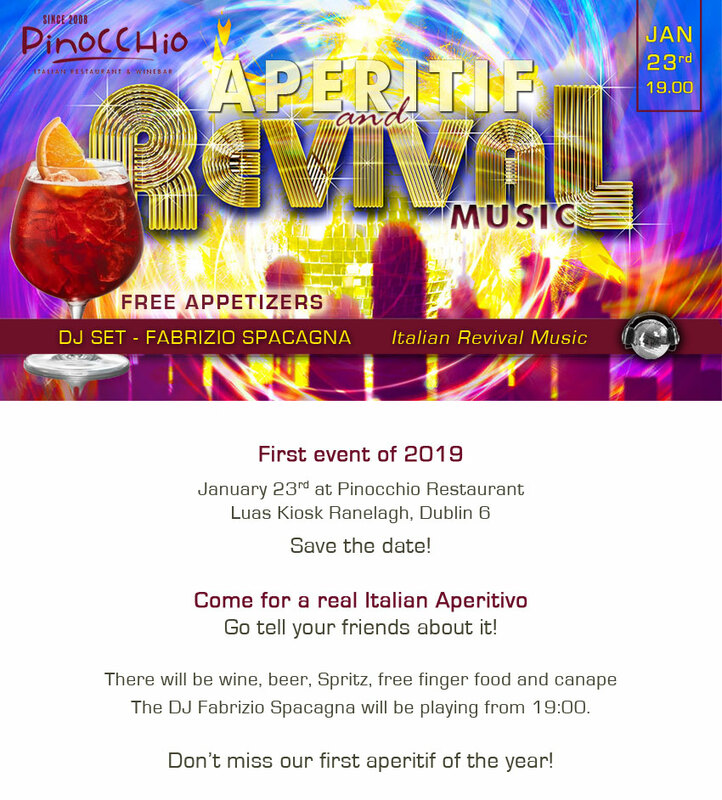 Don’t miss our first aperitif of the year!